Here is a general list of musical skills and concepts you can teach to children in 3rd Grade, 4th Grade, and 5th Grade. Like with Younger Elementary, remember that children are often capable of higher levels of learning and musicianship when surrounded by others who are a bit older and more experienced. If you have younger and older elementary children together in one group, you may be able to introduce things that are a level or two above the youngest members of your choir. Children at this age are curious and naturally creative. They are capable of beginning to read music notation, so make sure you incorporate some opportunities for them to sing with a score in hand. Help your older elementary children learn the language of music. Fourth graders are learning more about music notation and reading and can do more creating and writing of their own. Make sure to set up some boundaries for these projects ahead of time: limited pitch and rhythm material, limited length, etc. Children at this age are often beginning to learn other musical instruments in school or community settings. The musical skills they develop through singing and reading in choir will inform their other musical experiences, so spend some time talking about musical patterns and exploring how music is put together. preschool, younger elementary, and older elementary children's choir. 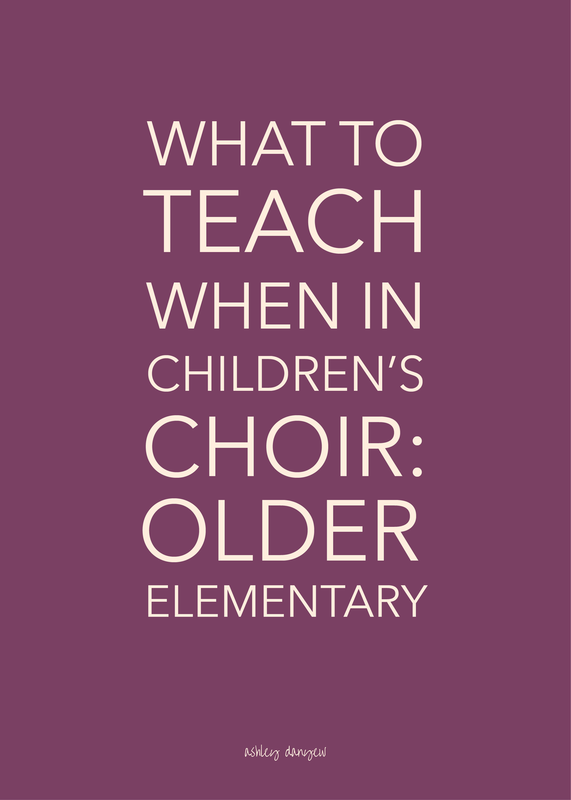 What ages do you teach in your children's choir? What musical skills do you hope to develop in your young singers this year?